Last month we family and I spent a glorious week in Kauai. Lots of sunbathing, swimming, and eating happened. But the best part of the trip was the 22-mile trail run my husband and I did. Yes, I said 22 miles. 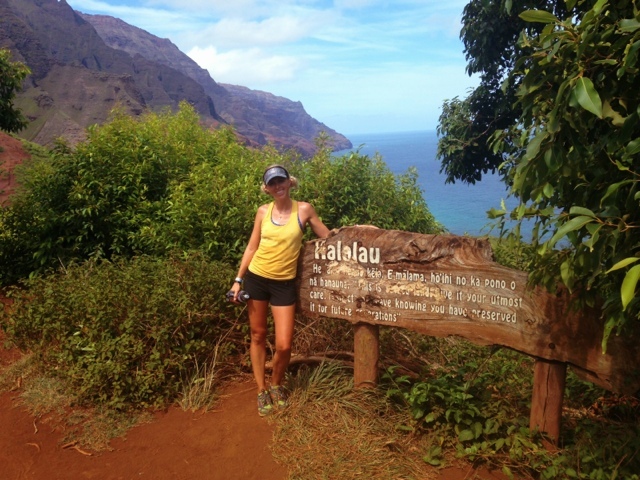 You see, you can only reach the most beautiful beach in the world by boat or hiking the Kalalau Trail. Since my husband and I are both in the middle of marathon training, this was the perfect time to do this run. It was the hardest run I've ever done and the longest by far. It took about 7-1/2 hours. Well, that's probably because it also had 10,000 feet of climbing. Yup, we are crazy! But the views?.....oh the views were gorgeous! It got more and more beautiful as the trail went further. Hidden waterfalls, the smell of fresh fruit, the bright blue ocean below....heaven. Gotta replace those calories quickly, right? 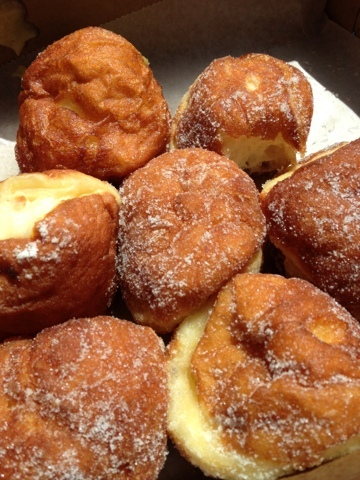 Well, Hawaii is known for their malasadas. Pretty much they are friend donut holes covered in sugar, but way better. Some were filled with cream too. So delicious and so worth burning all of those calories!